Oscilloscopes come in all sorts of shapes and sizes. If you are like me, you probably know a lot about these useful machines, but what if you come across two oscilloscopes that are very similar? I have two oscilloscopes in mind while writing this. I was thinking about Siglent and Rigol oscilloscopes. Picking between two types of oscilloscopes with similar properties can be difficult for experienced users, let alone for a beginner. If you are in either of those two groups, don’t worry. You have come to the right place. We have compiled a list of several important features when it comes to these two oscilloscope types. This way you will be able to decide which model is the best one for you and get one if you already don’t have one. First of all, you should be familiar with these two brands. Rigol Technologies Company is located in China. Their biggest competitor, Siglent, is a company based in the European Union. These two brands produce oscilloscope models that are very similar to each other, in shape, size, and performance. However, the user interface on many oscilloscopes produced by these two companies is almost identical. This can have a lot of benefits for new users as they won’t have a hard time adapting if they need to switch between these two models, as they can focus on the experience at hand. However, you shouldn’t take my word for granted, as slight differences do exist between user interfaces on these two models. 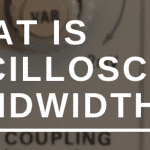 Bandwidth is very important when it comes to oscilloscopes. If you don’t have enough bandwidth your readings won’t be as accurate as you want them to. Bandwidth is also the first thing many engineers consider when they are picking an oscilloscope made by Rigol or Siglent. That’s also why we placed bandwidth at the top of our list. Generally speaking, oscilloscopes produced by Siglent tend to have better bandwidth, but there are exceptions to this rule. You should always check on the model before buying because the model you selected could be an exception to this rule. This category also depends a lot on the model of the oscilloscope. It is, however, worthy to say that both companies produce and design oscilloscopes with one or more channels, so it would be best that you decide about the channel number yourself, having in mind the scope of your work. Oscilloscopes with more than one channel have the function that enables you to have more than one primary channel turned on, but if you decide to do so, the accuracy of the remaining channels might not be as high as you want it to be. If you have any concerns regarding specific models, you could ask the seller directly about it and I am certain that he or she would be very happy to answer you. Both manufacturers of oscilloscopes have the same or very similar display resolution, but if you want to be able to work with oscilloscopes produced by them without having to wear glasses, then the Siglent is your choice. The brightness levels can be adjusted to suit your needs regardless if you plan on working in the sun or in the night. The thing is, you need to have some of their oscilloscopes positioned in the eye-level because their displays don’t have a very wide angle at which they can show good, quality image. However, the thing that amazes me is the user interface. Both companies tend to produce oscilloscopes with very similar layout user interfaces on their models. But when I started to navigate the user interface, I was amazed by the layout of it, because it looks completely identical on both oscilloscopes. The winner in this category is the Siglent Company because their models tend to have a bigger screen than oscilloscopes produced by Rigol. As far as boot time goes, the oscilloscopes produced by Rigol usually tend to boot up faster than oscilloscope produced by Siglent. A lot. Oscilloscopes produced by Siglent can take up to half a minute or more to boot up fully, while the Rigol’s models seem to boot up in ten seconds or less. If you plan on getting a Siglent for work, I wouldn’t recommend it if you need to work as fast as possible. The boot time of Rigol models is incredible. I have seen oscilloscopes from higher price ranges that don’t boot up so fast. Both of these brands produce oscilloscopes that are very durable and made from quality materials, regardless of their price, within reason. It goes without saying that models from higher price ranges will be of better quality, but even the cheaper models are good. However, the Rigol company seems to produce the models that look and feel more durable on the outside. As far as the quality of buttons and display goes, they are very good on both brands. When we take the price into account, both of these produce oscilloscopes that give excellent quality for the price. Also, since these oscilloscopes are more affordable, they can make quite a lot of noise. In this regard, the Siglent company makes more quiet oscilloscopes, but not for much. If you are looking for an oscilloscope that will be as quiet as possible, then these two probably aren’t for you. Either one of these brands will work well for years if you decide to get it. 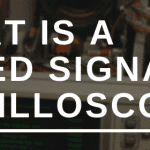 If you are expecting an unbreakable model, neither of these two brands makes one, however, if you are looking for an oscilloscope that can take a few punches here and there for an affordable price, the Rigol seems to be the model for you. The winner of this competition is the Rigol Company. Oscilloscopes produced by Rigol simply tend to be better at more categories than oscilloscopes made by Siglent. But don’t be disheartened by this result. You should read our reviews and get an oscilloscope to decide for yourself.